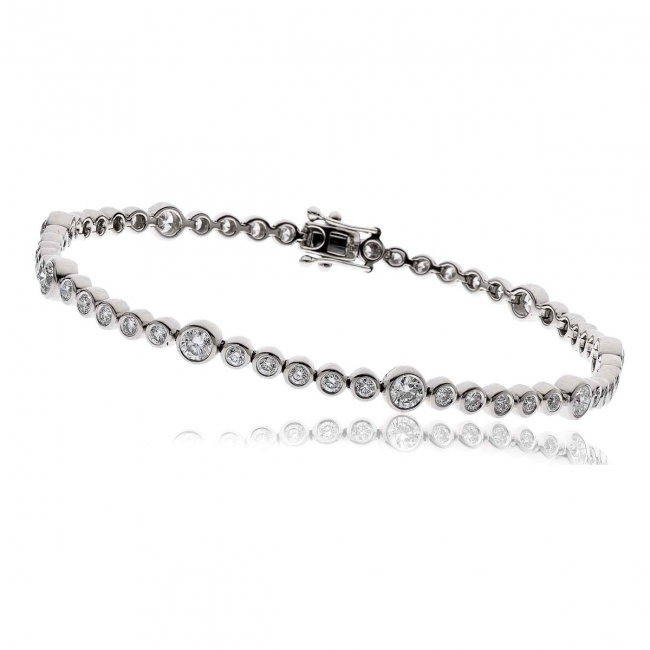 This stunning diamond tennis bracelet is perfect for all occasions. Set with 2.50ct of quality H/SI round brilliant cut diamonds in a rub-over setting in 18k white gold. 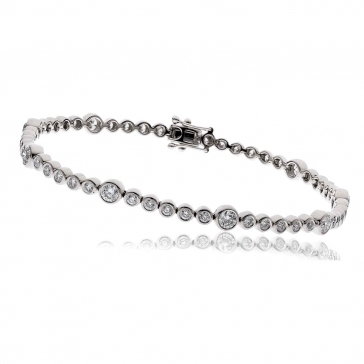 Delivered free with luxury packaging, authenticity certificate and a 12 month guarantee.